Fury is building among religious conservatives in Israel over a conference by psychologists titled "Treatment Issues in Polyamory" scheduled for Tuesday, February 5th, at Bar Ilan University near Tel Aviv. The conference organizers are pressing ahead but have instituted security measures, changed the names of some sessions, and are cancelling registrations of attendees who are not psychologists or therapists. Bar-Ilan University, originally founded with an Orthodox orientation, is one of the country's largest universities with about 33,000 students. News of the dispute is spreading in Israeli media. 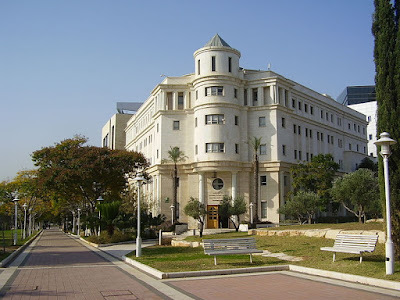 ...Rabbi Naftali Bar-Ilan said that “the founders of the university aspired to establish a high level academic institution that would not harm the supreme values ​​of the Jewish people. Not only that, but one of the seven Noahide laws that bind non-Jews is the prohibition against incestuous relations,” stressing that billions of people around the world adhere to it. ...The three-hour conference, which will be held on February 5 at the university’s Ramat Gan campus, is titled “Treatment Issues in Polyamory.” It will include talks by professors from the psychology and gender studies departments titled, “On Polyamory, Open Relationships and Judgment in the Therapeutic Space,” and “Polyamory — Fusion and Healing in the Face of Fracture?” Organizers specified that it is intended for therapists only and will be closed to the general public. Over 600 opponents signed a petition calling for the conference to be canceled, claiming it supported dismantling families, and saying it was “shocking to think about a child growing up in a house full of this kind of betrayal and fornication,” the Israel Hayom daily reported. Protesters hung signs over the weekend in the area around the campus that read “Adultery at Bar-Ilan,” according to the right-wing Israel National News site. Other opponents held a protest outside the home of the university’s rector. Religious Zionist university ramps up security ahead of the scheduled conference highlighting open marriages amid demonstrations, petitions. The controversy surrounding a conference highlighting the subject of polyamory that is scheduled to take place at Bar Ilan University refuses to die down. The event has caused an uproar at the institution, with upwards of 2,000 students and faculty alike signing a petition this week protesting the event as one that "destroys families". Demonstrations have also been held outside the house of Bar Ilan University Rector Miriam Faust and students received emails and text messages imploring them to flood university management with complaints. ...According to the blog 'The Hottest Place In Hell', the university has ramped up security to an "unprecedented level" after the moderator scheduled to host the event said that she feared for her physical safety. Meanwhile, booklets promoting the conference have been changed and do not include racy quotes that graced the original version. In addition, a lecture that was formally titled "A Painful Compromise Whose Name Is Polyamory" has been renamed and is now called "Polyamory: Associations Of Impulse And Anxiety And Clinical Patterns In Professional And Public Attitudes To The Phenomenon". ...A slew of restrictions have also been imposed regarding who is allowed to attend the controversial conference. "At first, no restrictions were imposed on registration for the conference, but the second leaflet stated clearly that 'the conference is intended for therapists and early registration only," reported The Hottest Place In Hell. "People who registered and paid received a cancellation notice." ● The previous instances of Israeli poly in the news here, few and surely incomplete, are more positive (after this one; scroll down). ● Here's the Polyamory Israel Facebook group, in Hebrew. Can someone tell me if anything's going on there about this? Please reply in the comments here. You can't see the posts there unless you join the group, which requires answering 3 questions in Hebrew. There is a related page, https://www.facebook.com/PolyamoryIsrael, which seems to have announcements of a periodic gathering, looks like with drinks so maybe like poly cocktails. Not much was going on in the group, aside from general outrage and some discussion of an alternative con. I published today an Op-ed in Haaretz, which I've already seen posted here. We also issued a statement by 50 academics in support of the conference and in defense of academic freedom. I will see if I get around to publish a translation, but right now I am somewhat preoccupied with managing Hebrew comments.